Welcome to Irving House bed and breakfast near Fenway Park. Stay in our centrally located accommodations and easily explore Boston, Cambridge, and the historic Harvard area. Our unique and singular lodgings provide comfort and convenience, with each stay punctuated by excellent hospitality. 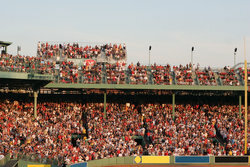 Wake up each morning to a complimentary breakfast spread and spend your evenings visiting the area’s hottest attractions like Fenway Park. Drive – arrive at the venue in 10 to 15 minutes. Public Transit – the journey will take you anywhere from 40 minutes to 1 hour, with several different subway and bus lines delivering you there seamlessly. At Irving House, we are well-versed in our local area. 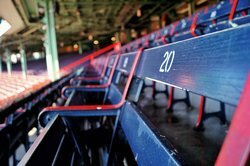 As seasoned visitors of Fenway Park, we have the insider’s scoop on a home-run visit to the venue. While driving offers the quickest and most efficient travel option, we recommend that you take transit there and back. Due to the park’s downtown location, parking can be difficult, time-consuming, and expensive. If you must drive, consult Fenway’s parking guide for all of the best places to leave your vehicle. 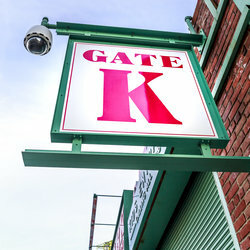 If you are looking to grab a bite before heading to the game, consult this list of the top places to eat near Fenway Park. If you are saving your appetite to eat at the game, don’t miss the chance to taste a Fenway Frank, which comes nestled in a fluffy New England-style bun. Visiting with the kids? Enjoy the fun from the family-friendly space found at Wally’s Clubhouse. Finally, if you can’t catch a game during your stay, consider taking a tour of the venue instead, which are offered daily all year-round. 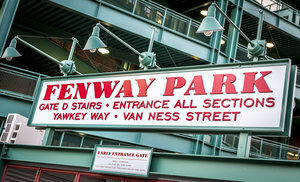 Book your stay at our bed and breakfast near Fenway Park today.